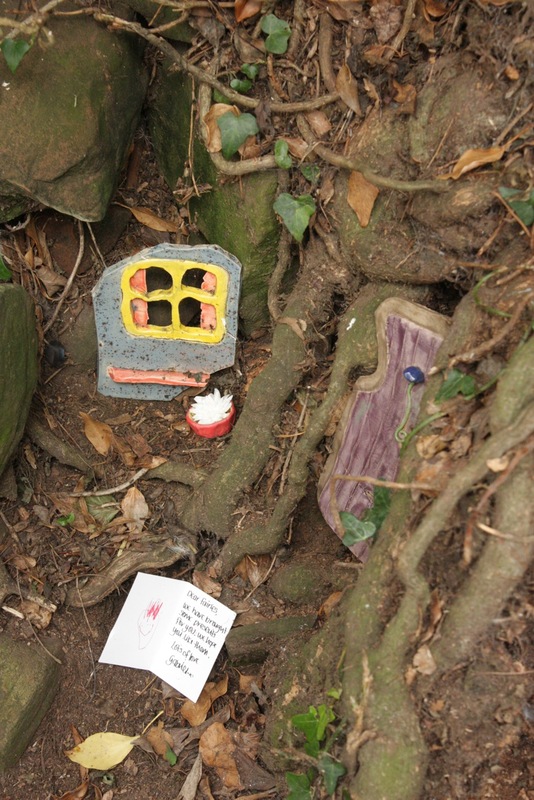 In which the author visits a village of fairy houses…. 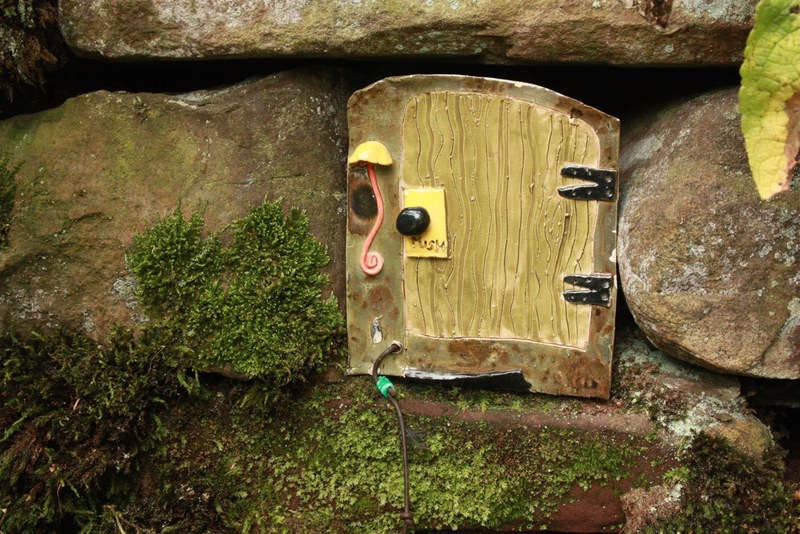 As part of the research for Paranormal Cumbria I sought out a group of ‘fairy houses’ that have mysteriously appeared near Gelt Wood in East Cumbria. 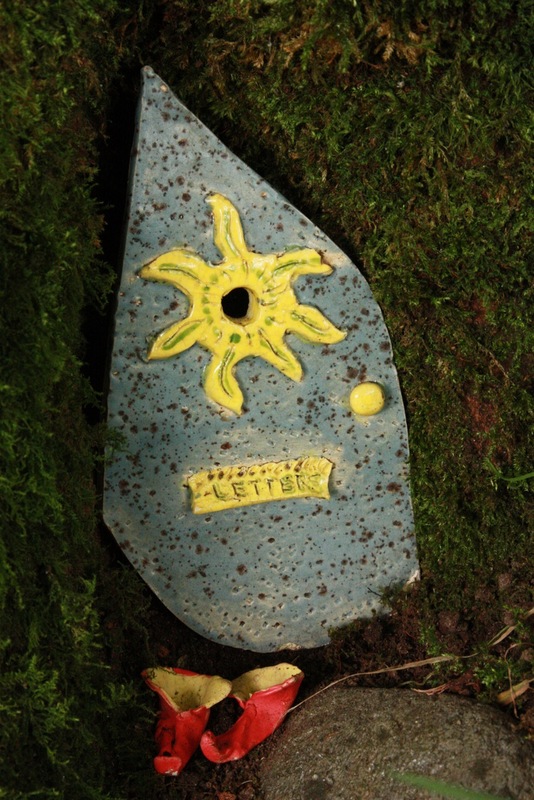 The ceramic dwellings first appeared among the boles and tree roots in the summer of 2009, only to vanish in September – as the fairies explained when they emailed the local paper, it was just getting too cold for them. 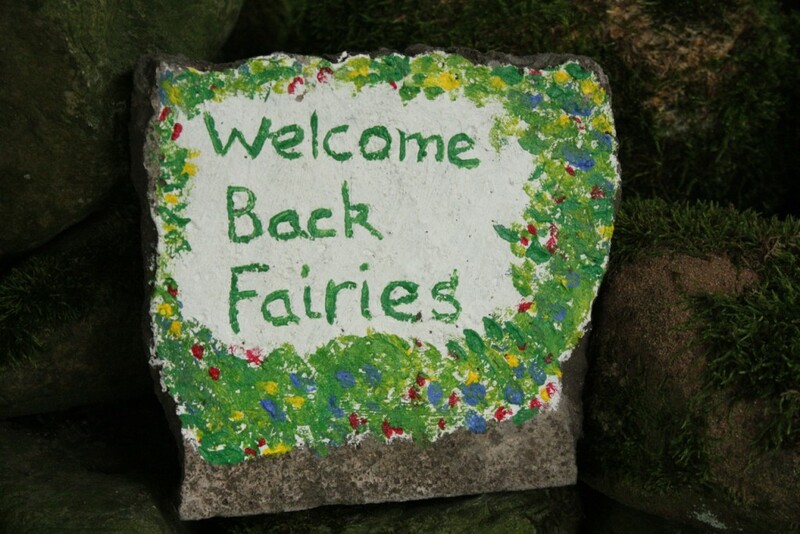 The fairies have returned each subsequent summer, and in 2011 there were more than ever, with around 20 or so houses scattered over a two-mile area. 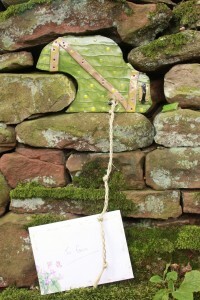 Several of the houses have evidence of their inhabitants’ lives, such as tiny wellington boots, wheelbarrows, letter-boxes, and rope ladders to reach front doors set high up in a drystone wall. One house close to the river even has a canoe. 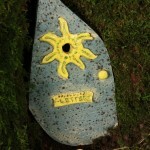 This year, several people have left gifts for the fairies, in the shape of cards, letters, hand-made textiles, and chocolates. 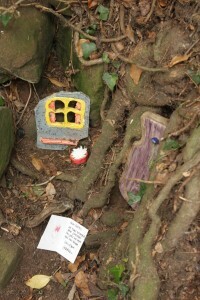 The beautifully-fashioned dwellings and accessories are utterly enchanting, and seeking them out was a delightful task. Whoever made them deserves a big thank you for bringing wonder into our lives. 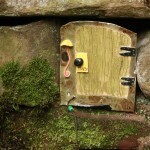 Paranormal Cumbria will be published in 2012 and has a full history of fairy sightings in the county, including a plethora of twentieth-century reports of nature spirits, devas, gnomes and other denizens of the fairy otherworld. 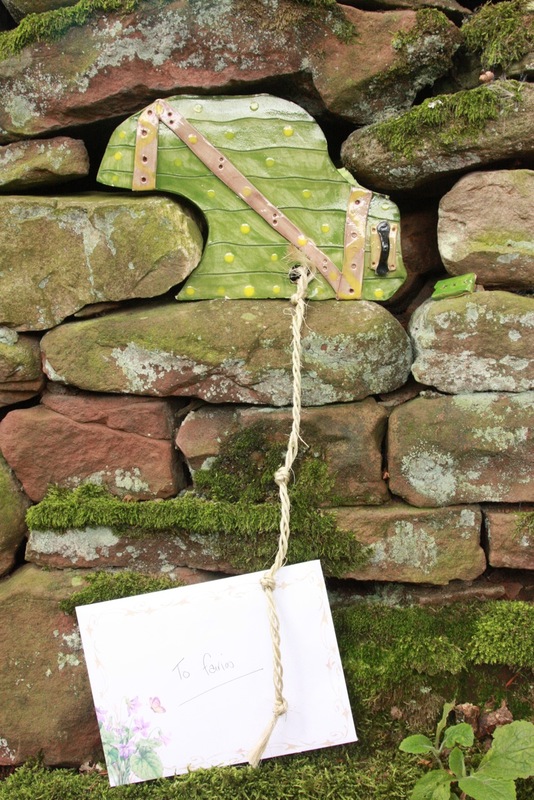 This entry was posted in Book releases and tagged cumbria, fairies, fairy, Folklore, Paranormal, supernatural, witchcraft on 15/09/2011 by Jamie Cook. 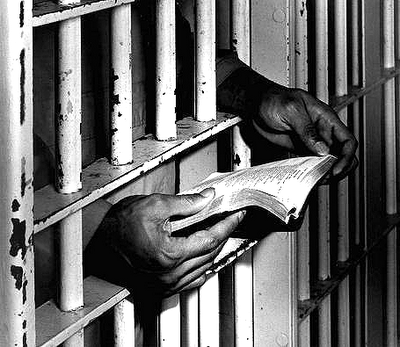 There have been no posts recently because I’ve been sequestered away writing Paranormal Cumbria (deadlines are a wonderful thing). The text of the book is now complete so normal service (such as it is) should be resumed as soon as possible. As a sneak preview, I can promise witchcraft, monsters of sea and lake (oh yes, Bownessie gets a look in), twentieth-century fairy sightings, ‘scareship’ UFOS, the Cursing Stone of Carlisle, the Cumberland Spaceman and the Croglin Vampire. Crikey. Just a reminder that the event at Ladywell in Glasgow, originally booked for Wednesday 24th August, has been rescheduled for 19 October. Same venue, same time, same vampire with iron teeth – just a different date. 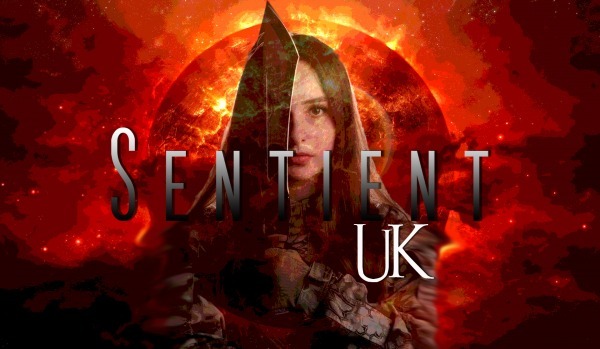 This entry was posted in Messages from Geoff and tagged cumbria, Folklore, fortean, ghost, ghosts, Haunted, Paranormal, supernatural, vampires, witchcraft on 25/08/2011 by Jamie Cook.